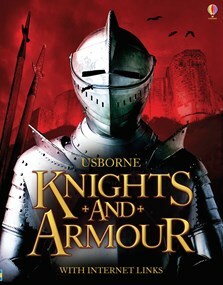 A fascinating guide to the medieval world of knights and armour. Rich in historical detail, with information about how knights lived both in war and peace, the importance of chivalry and how their armour and horses helped them to win battles. Also contains a fact file with details of famous knights and a glossary of some of the specialist terms associated with knights and armour. Internet-links to recommended websites, via Usborne Quicklinks , allow children to supplement their reading with the best the web has to offer.